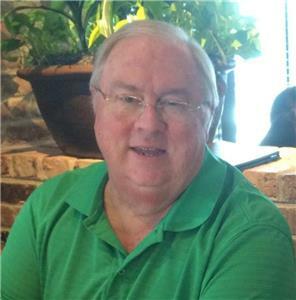 Jimmy B. Smith, 73, of East Brainerd, passed away peacefully on January 7, 2017 at a local health care facility. Jimmy was a graduate of UTC where he received his degree in Business Administration. Jimmy was retired from the Department of Transportation with the State of Tennessee after 35 years of service as a right of way agent. He was previously vice president and sales manager of Wichman Monument Company. He grew up in Highland Park Baptist Church where his father served as church pianist for 42 years under the leadership of Dr. Lee Roberson. He was active in both choir and orchestra during those years. He joined Brained Baptist Church while in high school and sang under the direction of Dr. Clint Nichols. Jimmy sang with the Chattanooga Opera Association, was a founding member of Chattanooga Bach Choir, Member of the very first Chattanooga Boys Choir, sang at Central Presbyterian Church, First Christian Church, First Presbyterian Church with Dr. Glenn Draper, and with the Rouche Chorale and was a tenor soloist at St. Paul’s Episcopal Church for 32 years. Most recently he was a member of the Scenic City Chorale under the direction of Ron Starnes. For the past 20 years, Jimmy has devoted himself to the TV ministry of Brainerd Baptist Church. His skill and artistry in doing that is surpassed only by his faithfulness. He was preceded in death by his parents, James Lynn Smith and Sally Bradley Smith. He is survived by his wife of almost 50 years, Cheryll Hicks Smith; son, Paul A. Smith; two sisters, Polly Gross all of Chattanooga, and Betty Nunnally, Birmingham; nieces and nephews, Tim and Liz Millirons, Lookout Mountain, Harry and Laura Gross, Knoxville, Bobby and Linda Campbell, Birmingham, Doug and Angela Nunnally, Huntsville; nine great-nieces and nephews; and a host of wonderful friends. Funeral services will be on Thursday, Jan. 12, at noon at Brainerd Baptist Church with Reverend George Clark officiating. A private burial will be held Friday at 11 AM at Westview Cemetery, Sweetwater, TN with Rev. Steve Rowland officiating. Pallbearers will be Jeff Longshore, Jason McDowell, James Smith, John Tepley, Chris Turner and David Turner, honorary pallbearers will be the staff of the Ooltewah High School Marching Band, The Florida Girls and their spouses, and members of The Friendship Sunday School Class of Brainerd Baptist Church. In lieu of flowers the family requests that gifts be made in Jimmy’s memory to the TV Ministry of Brainerd Baptist Church. Visit www.heritagechattanooga.com to share words of comfort to the family and view the memorial tribute. The family will receive friends Wednesday from 4-8 p.m. at Heritage Funeral Home, 7454 E. Brainerd Road, and Thursday, from 10 a.m. until 12 p.m. at Brainerd Baptist Church.